Jakarta Provincial Government is set to hold a vehicle tax penalty amnesty for vehicle taxes and vehicle ownership transfer fees (BBNKB), as well as urban and rural land and building tax (PBB-P2) in a bid to celebrate the 491st city's anniversary and Independence Day.
" This policy will start on June 27-August 31, 2018"
"This policy will start on June 27-August 31, 2018," expressed Jakarta Governor, Anies Baswedan, Thursday (7/28). Currently, in Jakarta, around 3.1 million of two-wheeled vehicles or around 50 percent have yet to pay tax. While for four-wheeled vehicle, around 748 thousand or 30 percent have yet to pay tax. The value of the motorists with unpaid vehicle taxes is about Rp 1.6 trillion, or 44.6 percent of motorcycles are still in delinquent taxes, including luxury cars. It has been set in gubernatorial regulation number 34/2017 on procedures for vehicle tax penalty amnesty as amended by gubernatorial regulation number 3/2018 on amendment of procedures for vehicle tax penalty amnesty. "Hence we urged residents to take this opportunity as well as possible," he explained. For service and payment of sub-district Samsat outlets can be done at Pasar Minggu Sub-district office (South Jakarta), Kebon Jeruk Sub-district office (West Jakarta), and Kemayoran Sub-district office (Central Jakarta). 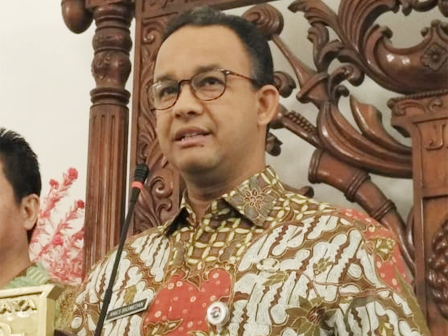 "Aside that, it can also be done at the Penjaringan Sub-district office (North Jakarta) and Pulogadung Sub-district office (East Jakarta)," he said.